Botanica Za Les: Anyone ever seen a Trillium like this? 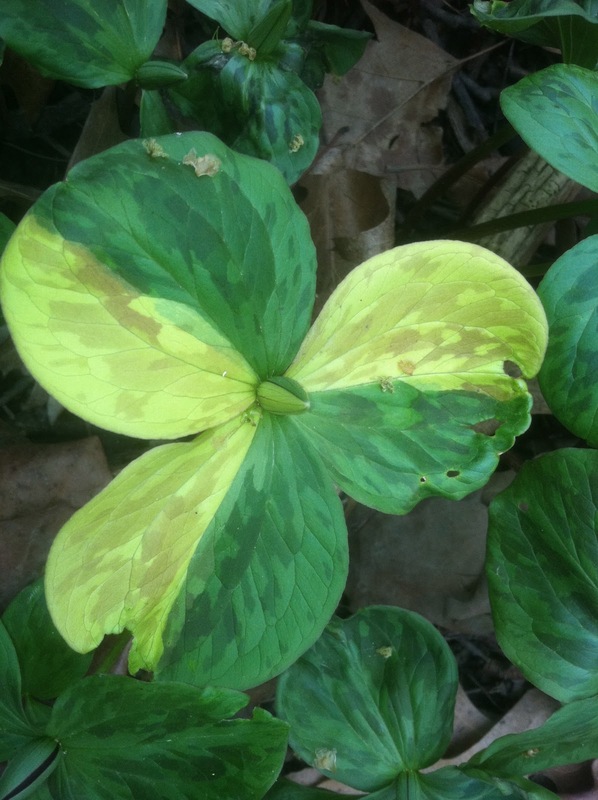 This is a bizarre, variegated specimen of Trillium sessile found just down the street from my house. There are many plants (thousands) in this population and this is the only one displaying this pattern. If you look closely, you can see that the sepals also display green and yellow tissue, corresponding to similarly colored portions in the leaves. There is little information out about variegated Trilliums, and I am not convinced this is the phytoplasm that infects Trillium grandiflorum. Any thoughts out there?